Welcome Back to School! Let’s Celebrate with a Bash! 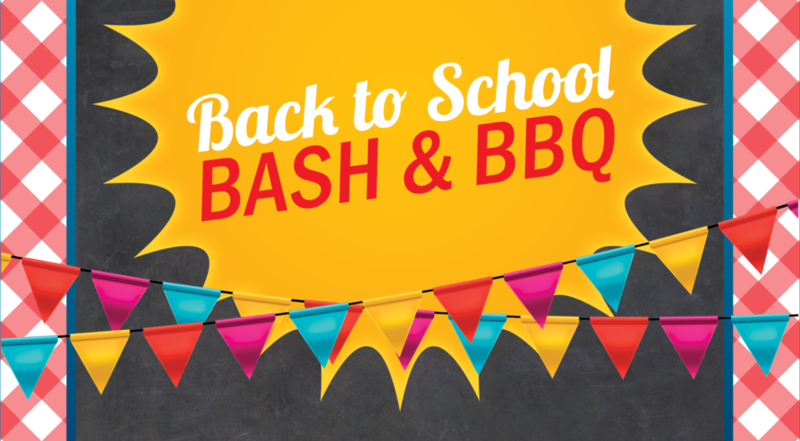 Join Us for This Year’s Back to School Bash & BBQ! PURCHASE TICKETS & WRISTBANDS TODAY! This year’s event promises to be as fun as ever, with attractions like 2 Bounce Houses, Floating Mad Science, the Cupcake Eating Contest, and LOTS more! It’s a great way to celebrate the new school year, make new friends, and have a fantastic time with old ones. Purchase your tickets and wristbands ahead of time and save — AND avoid really long lines the day of the event! We also have some great Sponsorship and Booth Rental opportunities this year to help your business garner exposure from our community. Haven’t signed up to volunteer yet? You can do that here! Still have questions? No problem! Email us and we’ll be happy to help you out. Welcome back, and we can’t wait to see you at the Bash!